Ahh…Summer…time for cookouts, parties and spending time with family and friends! 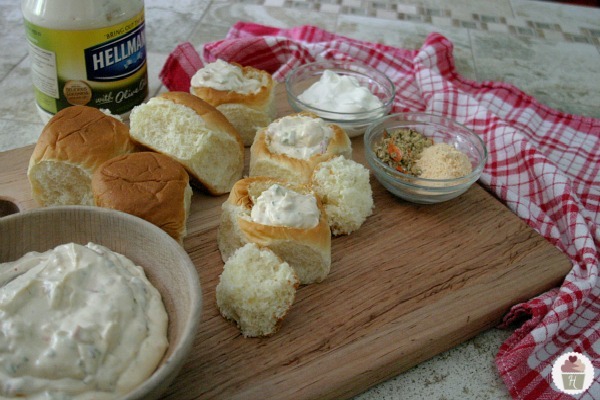 Many moons ago, my good friend Jane, shared her recipe with me for Veggie Dip, when I spotted the Easy Vegetable Dip recipe using the new Hellmann’s mayonnaise dressing with Olive Oil, I was right away reminded of Jane’s recipe. This Creamy Vegetable Dip is a little different than one you might have tried, it has dried Guacamole Mix in it, which gives it a little kick. It’s not spicy at all, but the additional flavors combine for a delicious flavor. Hellmann’s mayonnaise dressing with Olive Oil combines the creamy, rich Hellmann’s taste you love with Olive Oil and other high quality ingredients including cage-free eggs and vinegar. 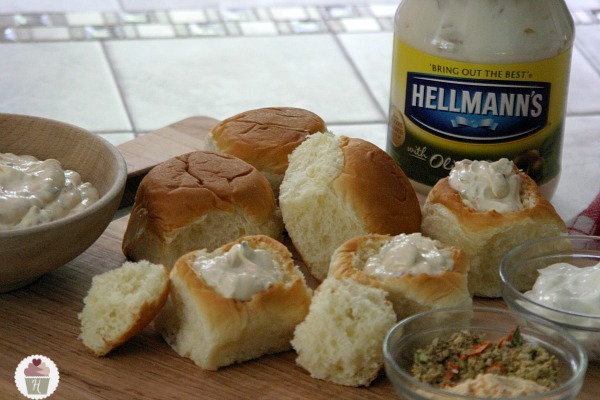 Similar to the popular Spinach Dip, we served the Creamy Vegetable Dip in Hawaiian bread, but used individual rolls instead of a large loaf, so guests can have their own special serving. 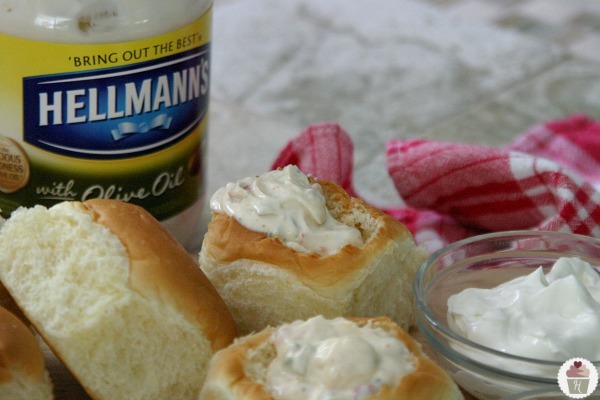 Interested in trying the new Hellmann’s mayonnaise with Olive Oil…head on over and grab a coupon!